We invite you to join us at this year’s HEAnet National Conference “Digital Transformation for Education and Research”. 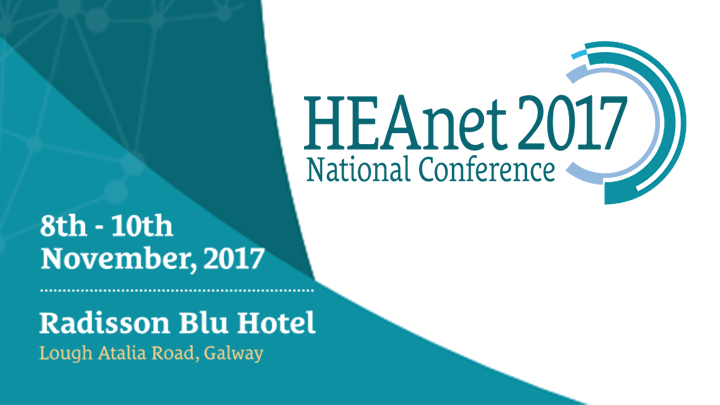 The conference will take place on 08 – 10 November, at the Radisson Blu Hotel in Galway. We are putting together a strong and varied programme for 2017 delegates, including a keynote plenary session on GDPR from Assistant Commissioner, Cathal Ryan. Other featured topics include Identity Management, Blended Learning, Cloud Services, Mobility, Network Technologies and The Internet of Things. Our full 2017 Programme will be published online on Friday, 04 September.